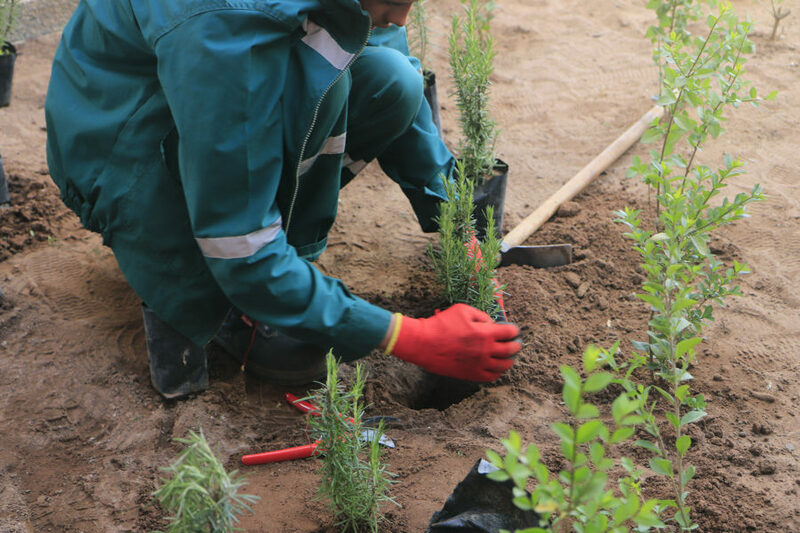 Last October 2018 began the first academic year of the School of Gardening Bouregreg Med-O-Med in Salé, Morocco. It is a joint project of the Islamic Culture Foundation, and the Agence pour l’Aménagement de la Vallée du Bouregreg (AAVB), which has been maturing for the last 5 years. 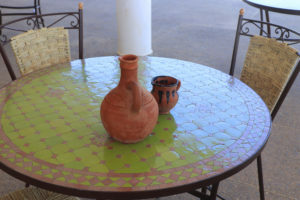 It represents the first School of Gardening of Morocco, and is understood as a pilot experience which could be reproduced in other parts of the country. It is also a social and environmental project, aimed mainly at the region’s young population at risk of social exclusion. Its goal is to offer a professional training in Gardening to the students, validated by the Moroccan Ministry of National Education and Professional Training, and focusing on a field never studied before, as most trainings focus specifically on agriculture or landscaping. The project, developed in collaboration with the University of Seville, stresses the importance of training, while, at the same time, aiming at achieving a social and professional inclusion of its trainees. It also highlights the transferring of skills through the training of Moroccan trainers. The project is in line with the recently implemented national policies on professional and environmental training, among them, the Stratégie Nationale de la Formation Professionnelle 2021 and the Charte Nationale de l’Environnement et du Développement Durable. 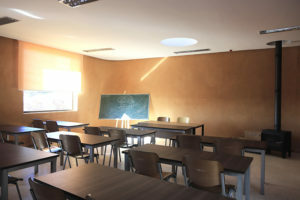 The School of Gardening Bouregreg Med-O-Med is located in the valley of the Bouregreg river, close to the ancient landfill, rehabilitated by the AAVB (the first one in the whole of Morocco), which contributes to highlight its symbolic nature. 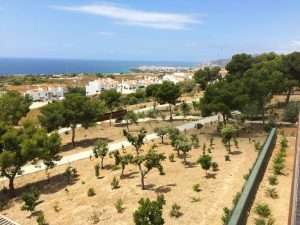 The land covers eight hectares, which also include an ancient quarry, and the building has been developed by the English-Spanish firm MYAA, in a contemporary style that links tradition and modernity, comfort and robustness. 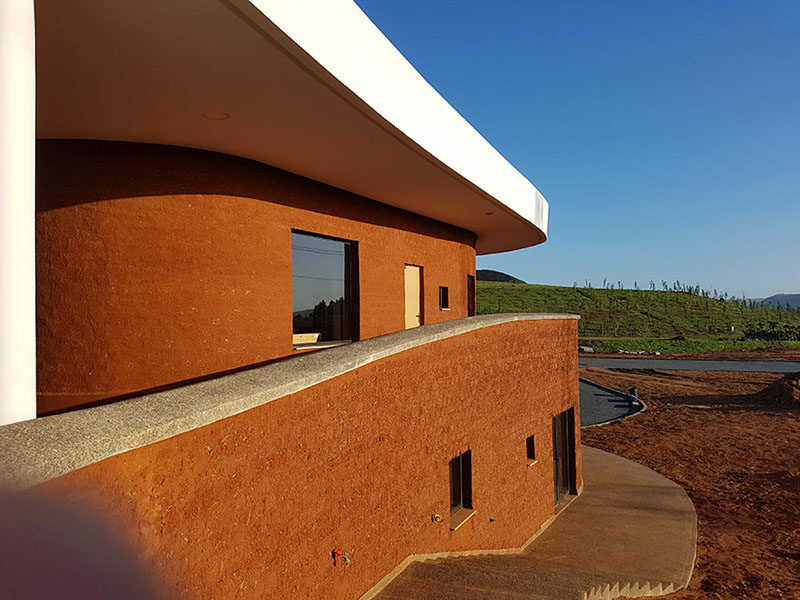 The walls of adobe and the configuration of the building, in an organic style which blends with the environment, guarantee the building’s energy efficiency. In fact, the project of the School has been submitted to different international architecture contests, and has been finalist to the prestigious World Architecture Festival in the category of “education”. The project, developed in collaboration with the University of Seville, stresses the importance of training, while, at the same time, aiming at achieving a social and professional inclusion of its trainees. The training program, based in the Spanish model and adapted to the Moroccan educational requirements, lasts four years: the first one is dedicated to job training; the second one, to specialization, and the third one and fourth one focus on skill promotion. It comprises a 20% of theoretical training, and 80% of practical training, according to the requirements of the Training Centres (Centros de Formación por Aprendizaje) of the Ministry of Education, that apply to the School. Even though we haven’t inaugurated officially yet, we can already assess this emerging Med-O-Med project. With the first promotion of students making satisfactory progress in the arts of gardening, both theoretically and practically, the School’s team is already working in launching the activities that will complement the project, with the purpose of ensuring its educational role, as well as its public nature. 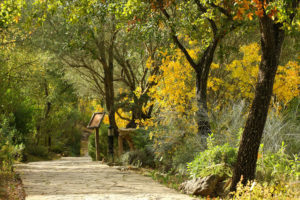 The School of Gardening Bouregreg Med-O-Med is located in the valley of the Bouregreg river, close to the ancient landfill, rehabilitated by the AAVB, which contributes to highlight its symbolic nature. We are referring to the design of workshops on environmental awareness for the local population, as well as those aiming at presenting the project, so that the local neighbours and associations can join and become a part of it. Likewise, we must not forget that the School is located in a big land of eight hectares, opened to the public and composed of landscaped areas to visit, spaces for activities and workshops, as well as a nursery for the students’ practices and the selling of plants. On the other hand, we also focus on its economic dimension, in order to ensure its future viability and to grant the project as much financial independence as possible. With this purpose, we have prepared several income-generating activities whose profit will be destined to the project. These include a small restaurant of market products and a store for the selling of plants products on site, as well as artisan, food and cosmetic products. On the other hand, we also focus on its economic dimension, in order to ensure its future viability and to grant the project as much financial independence as possible. In addition to this, the school intends to organize on a regular basis specialization courses on this field, introductory public workshops, markets of organic products with the local producers, and other activities that might contribute to the funding of the project. Likewise, the School is strengthening links and concluding collaboration agreements with different related institutions, with the purpose of organizing activities and academic and social exchanges. Among them, the Université Internationale de Rabat (UIR), the RIAM (Réseau des Initiatives Agroécologiques au Maroc), and the environmental association Boudour wa Joudour. Among the many visitors coming to the School, we have had the pleasure of having members of the Diplomatic service, of the UIR, and of the Association of Friends of Fatima Mernissi, integrated by prestigious personalities from the world of art and the Moroccan feminist scene, such as Farida Benlyazid, Aicha Belarbi and Asma Lamrabet. At the School, we would like to warmly thank the promoters of this important project, the President of FUNCI, Cherif Abderrahman Jah, and the General Director of AAVB, Said Zarrou, as well as the teams behind them. We would also like to thank all the institutions contributing to the development of the project, through their support or financial help, the Spanish Agency for International Cooperation, the Initiative Nationale pour le Développement Humain (INDH), the Conseil Régional de Rabat, Salé, Kénitra, the Ministère de l’Éducation Nationale et de la Formation Professionnelle, Entraide Nationale, Drosos Foundation, the University of Seville, the International University of Rabat. We would also like to thank the contribution of the Spanish companies Alsa and Irizar to the project. This entry was posted in Education and raising awareness, News and tagged Bouregreg, Escuela de jardinería, Salé.